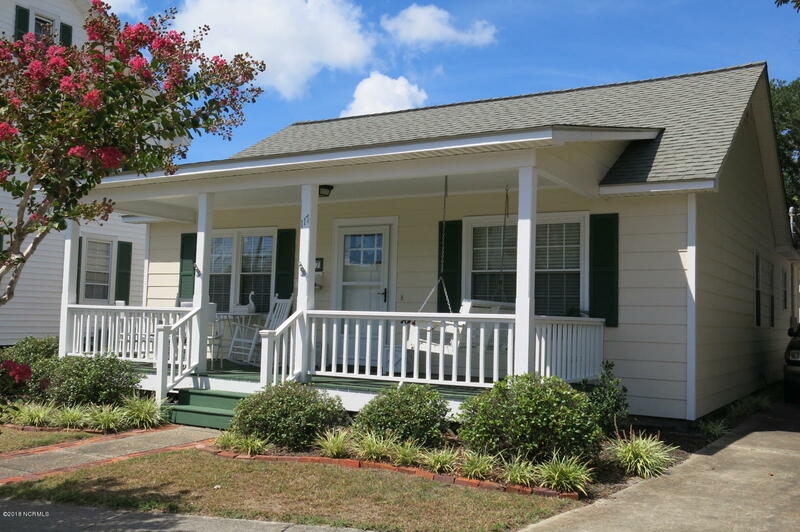 Beautiful updated bungalow on one of Beaufort’s most delightful streets! Enjoy water views of Taylors Creek and cool sea breezes from the covered front porch, or entertain and relax on the rear patio! This cottage has a wonderful open flow and beautiful natural light with plentiful windows. Stroll a few steps to Front Street where Fishermen’s Park offers water access, day dock and kayak racks!